Human Oxidized LDL ELISA Kit (CML-LDL) | Cell Biolabs, Inc. The OxiSelect™ Human Oxidized LDL ELISA Kits are enzyme immunoassays developed for the detection and quantitation of human oxLDL in plasma, serum or other biological fluid samples. The kits contain a copper oxidized LDL standard against which unknown samples may be compared. 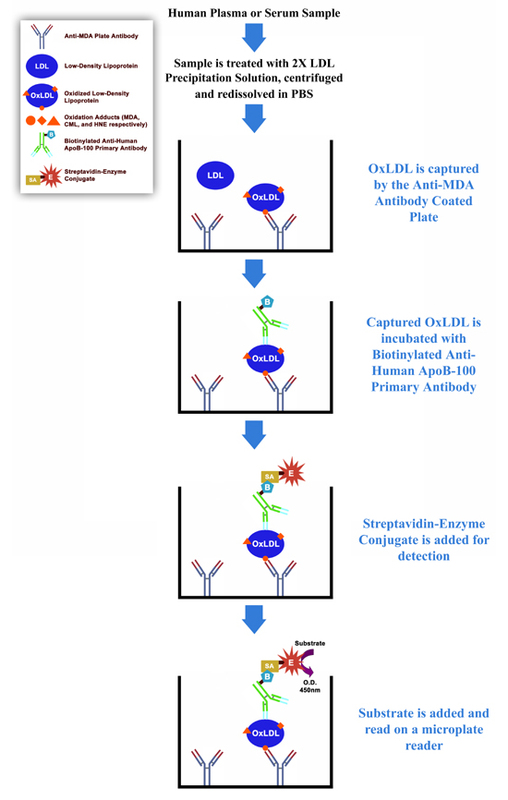 This oxidized LDL assay kit is configured to selectively measure oxLDL in CML-LDL.